Portraits of photographer Gordon Parks are among the exhibit now at The Kansas African American Museum. A 1963 photograph taken in L.A. Parks spent time photographing Red Jackson, a young gang member in New York City. Jennifer Lane, PR and marketing manager at WSU's Ulrich Museum of Art. 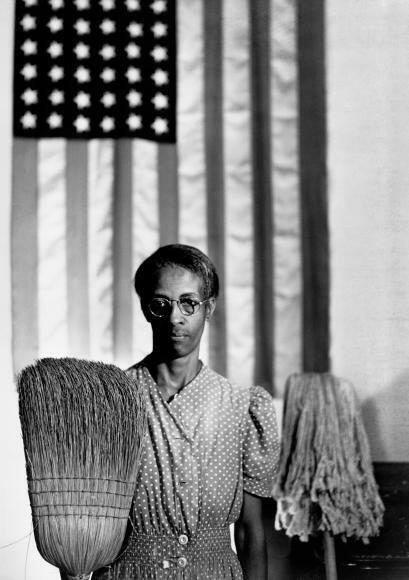 Three museums in Wichita are displaying the work of artist Gordon Parks starting this month. A notable author, filmmaker and musician, the Kansas native is most famous for his photographs, which documented poverty and segregation during the civil rights movement..
It’s a fitting place to show the work of Gordon Parks. A self-portrait taken circa 1948. Parks was born in Fort Scott, Kansas, in 1912, and he grew up around violent racism, segregation and crushing poverty. His mother died when he was 14, and after moving in with unwelcoming relatives in Minnesota, he quickly found himself homeless, fending for himself. Museum director Mark McCormick says it’s these difficult experiences that inspired Parks to find his voice. “You have to have something to say, and the power of his experiences are reflected in the photography and the subjects that he wanted to shoot," he says. One of Parks’ lesser-known series features snapshot photographs of a Methodist summer camp in northern New York. The assignment was to photograph integrated summer camps. The photos depict campers swimming, helping cook dinner, and playing games. According to McCormick, showing black and white kids doing these things together came as a shock to people in the 1940’s. “What it reminded me of are those camps that I’ve heard about that bring kids from Palestine and Israel together," he says. "I picked up a camera because it was my choice of weapons against what I hated most about the universe: racism, intolerance and poverty." All of Parks’ photographs seem to perfectly capture the emotion and expression of their subjects. The faces of the children and adults attending this summer camp show joy and even boredom, but no turmoil, no anger; it's important, considering they were taken in the summer of 1943—the same summer in which 34 people, most of them black, were killed in race riots in Detroit. McCormick says Parks provided a megaphone for black communities across the country at a time when many of their concerns were being ignored. “I grew up here in Wichita getting my hair cut at Professional Barber Shop, which, at the time, was at 21st and Grove. And there was a picture of Gordon Parks on the wall. The barbers in there used to talk about him, and how much they admired him," McCormick says. Mark McCormick, director of The Kansas African American Museum. McCormick was able to speak with Parks at that event, which he says is one the great honors of his life. But despite the love and respect many Kansans felt for Gordon Parks, the feelings weren’t always mutual. His childhood memories of living in Fort Scott, with the daily threat of racial violence, troubled Parks for decades, according to McCormick. Parks returned to Fort Scott in 1950 on a photo assignment. 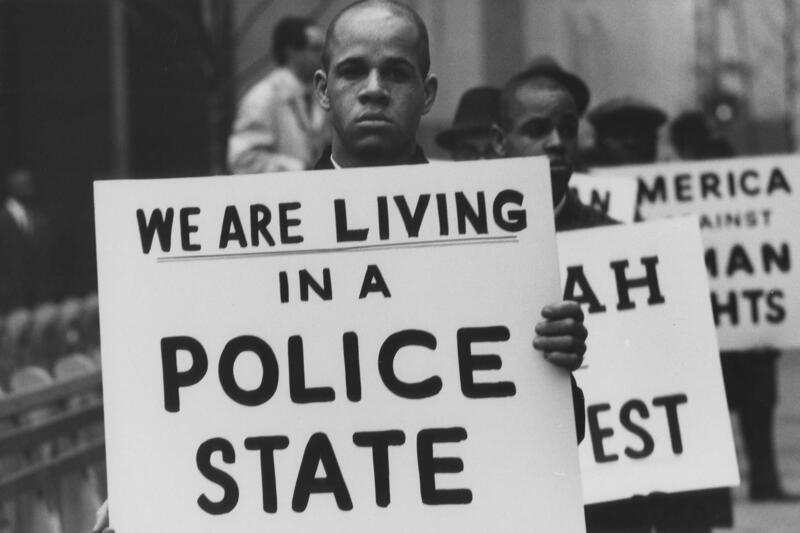 He found that even after 25 years, the racial tensions hadn’t changed much. McCormick says it was Charles McAfee, a notable African-American architect who still lives and works in Wichita, who began working to reunite Parks with his home state. An event was held at Wichita State University in 2000 to honor Parks’ work, and from there a renewed connection was made. “Mr. Parks told Mr. McAfee, ‘If you can find a place for my art, my photographs, my papers, you can have them,'" McCormick says. Not only did The Kansas African American Museum receive many items from Gordon Parks, but over time, so has the Ulrich Museum of Art at Wichita State University. The school has one of the largest collections in the world. 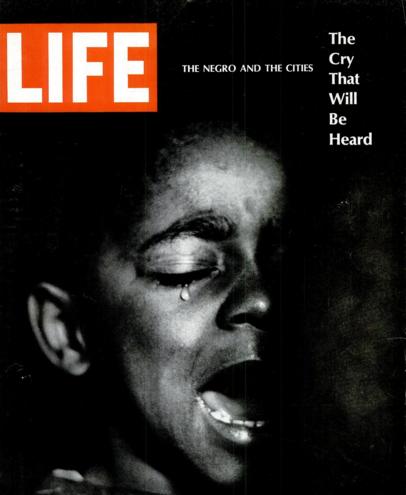 The cover of the 1968 Life edition featuring a lengthy portrait photographed and written by Gordon parks about a black family living in poverty. Among its collection is a selection of images that ran in Life magazine's March 8, 1968, edition. The photos show the living conditions of the Fontanelle family in Harlem, New York, a place accustomed to poverty, violence and racial tension. The editors at Life wanted Parks to find out where this tension and violence in Harlem was coming from. “Why are they rioting? Why are they angry?" says the Ulrich Museum of Art's Jennifer Lane. "And so, he went and he documented this family and their living conditions, and it shows a pretty clear reason why somebody might not be very happy." The dimly lit photos show a run-down apartment. There are large holes in the walls; laundry is done in a bathtub; the youngest child, Richard, is so hungry that he resorts to eating plaster from the walls. Hear Parks' friend Charles McAfee read the introduction to Parks' photo essay. It’s through photo essays like this that Parks is remembered as an important figure in the civil rights movement. Hanging on the walls of the Ulrich are his images of Malcolm X and the Nation of Islam, black gang leaders in Harlem and the famous portrait of an impoverished black woman standing in front of an American flag. In all of his assignments, he had a gift of embedded himself with his subjects, gaining their comfort and their trust. Parks died a decade ago in New York City at the age of 93. He is remembered not only through his photographs, but his books, poetry, films and music. 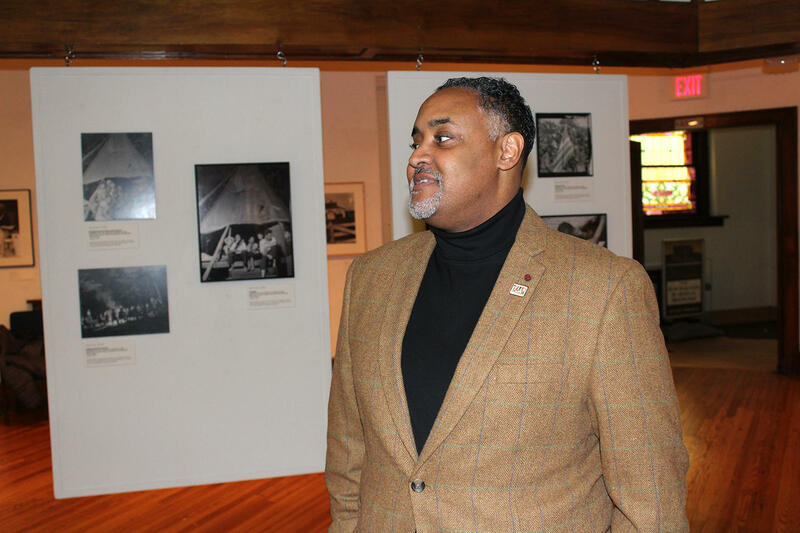 Parks' work is currently on display at the Ulrich of Museum of Art and The Kansas African American Museum through mid-April. The Wichita Art Museum will feature his work starting Jan. 30. 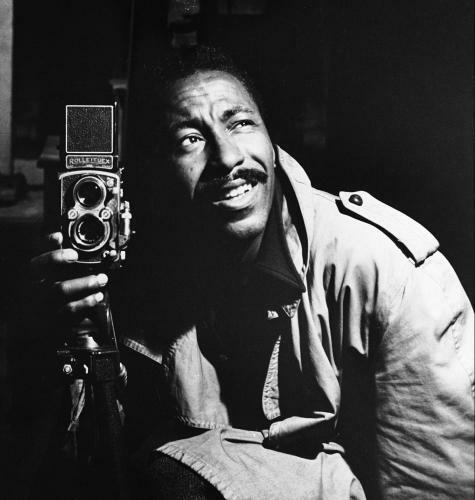 Friday marks the centennial of the birth of photographer, composer, filmmaker and author Gordon Parks. Celebrations have been held across the country in his honor, including several events at Wichita State University. Parks' third wife, Genevieve Young, spoke Thursday at Wichita State, which houses Parks' personal papers. Young was former senior editor at Little Brown and Company and vice president of Bantam Books. She edited Gordon Parks' writings.